The Granville Assisted Living Center was designed to empower individuals to maintain their dignity and independence in a residential setting. More than one million Americans currently live in assisted living communities. Some residents may suffer from mild cases of Alzheimer’s disease or other memory disorders. Assisted living communities offer supportive services such as meals, medication administration, transportation, and bathing to help maintain independence. 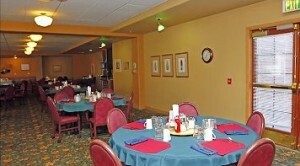 The typical assisted living community provides three meals a day. According to Argentum, a senior housing association, when choosing an assisted living center you should first become familiar with the terminology. Assisted living residences may be referred to as facilities, adult congregate living facilities, life plan community also known as continuing care retirement communities (CCRCs), personal care homes, retirement homes for adults, or community residences. The fundamental differences in assisted living communities include size, services, and cost. Other factors to consider may include location and the community. It is important to understand the level of service an assisted living center offers. 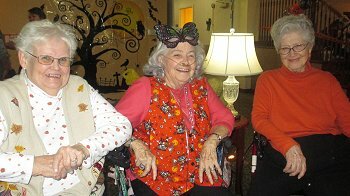 Assisted living centers vary in the types of services they provide. The typical assisted living community provides three meals a day, housekeeping services, transportation, access to on site staff 24 hours a day, an emergency call system, exercise or wellness programs, personal laundry service, and recreation activities. Some assisted living centers offer more services; some have only limited services. Costs vary depending on apartment size, services included, and whether the center is Medicaid certified. We have an array of activities here at The Granville. Have questions about assisted living? Call us today. We would be glad to answer your questions. When evaluating the need for assisted living services, consider the following questions regarding health and cognitive issues. Following instructions on which medications to take and when? Following a healthful lifestyle, including exercise, hydration, or good diet? Becoming more frail or dealing with chronic illness? Having difficulty with good hygiene? Forgetting medical appointments or errands? Having difficulty with tasks such as bathing or using oxygen? Keeping the home clean and safe? Are the carpets dirty or paths obstructed? If you answered yes, to one or more of these questions, we encourage and invite you to visit The Granville Assisted Living Center. Come visit or contact us today. We would be glad to answer your questions. 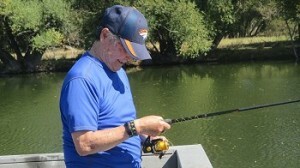 Our residents have the opportunity to go on outings.